Every business has its tools of the trade. Whether you’re a carpenter, plumber, or tiler with a ute and a toolbox on the back, or a sales rep, retailer, or accountant with a laptop and a mobile phone, your tools are nothing less than essential. Yet many New Zealanders don’t have enough insurance to cover the loss of such tools and other assets. Read our seven tips on how to minimise the risk of losing your tools forever. Every business has its tools of the trade. Whether you’re a carpenter, plumber, or tiler with a ute and a toolbox on the back, or a sales rep, retailer, or accountant with a laptop and a mobile phone, your tools are nothing less than essential. Sometimes, you don’t even realise just how crucial these tools are until you’re without them. Whether your toolbox has been stolen, your equipment has been damaged, or your mobile phone is broken, the effect on your ability to work can be instant and significant. If you can’t work, you most likely can’t get paid. Then there’s the expense of replacing or repairing your tools. Is this an expense your business can afford? In most cases, the answer is no. Yet many New Zealanders don’t have enough insurance to cover the loss of their commercial property, including tools and other assets. This is often because they’re either not aware of the coverage that’s available to them, or because they believe they’re better off not taking out insurance so they can save the money they would have spent on the premiums. Sometimes, people just believe it won’t happen to them. If that sounds familiar, consider this: NZ Police say tool theft is on the rise. Thieves often break into work vehicles to steal tools or even steal the vehicle itself. While the vehicle is often later recovered, the tools rarely are. Invest in a lockable toolbox. Having to break in to get the tools can act as a deterrent for thieves. Get your tools engraved. Unique engravings make tools harder to on-sell and can make it easier to get them back to you if police find them. Record your tools’ serial numbers. Combined with engravings, this makes it easier to identify them as ‘stolen’ and return the tools to their rightful owner. When you’re at home, lock your tools in your home or shed. Leaving them on your ute can be an invitation to thieves. If your tools have a tool tracking app (as some manufacturers offer), take advantage of it. These apps can disable your power tools if they’re stolen. Never leave your tools behind on a worksite; take them home with you every day. Invest in the right trade assets insurance. While you can never replace tools with sentimental value, at least you can cover the cost of new equipment, so you can keep working. 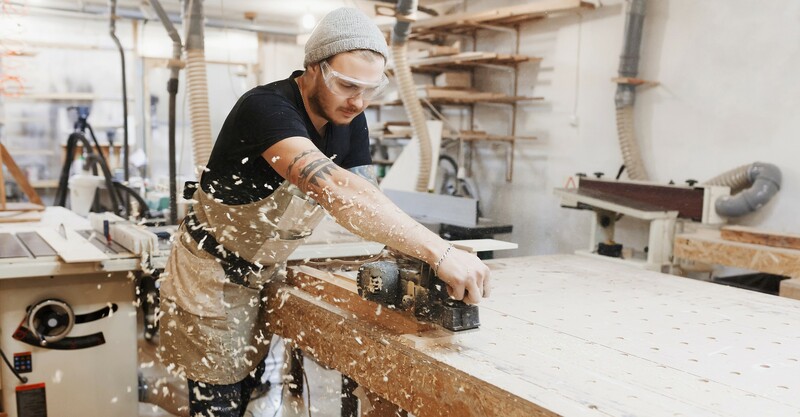 Commercial property and trade assets insurance can cover your tools as well as any other business assets such as mobile equipment, stock, furniture, and even your premises. Insuring your property and tools of the trade means you won’t have to dip into your cash reserves to repair or replace them if something goes wrong. There are various insurance options available, so it makes sense to speak to a trusted advisor who can help you determine the best option for you. Contact a NZbrokers member today to find out how we can help you get the right insurance for your commercial property.